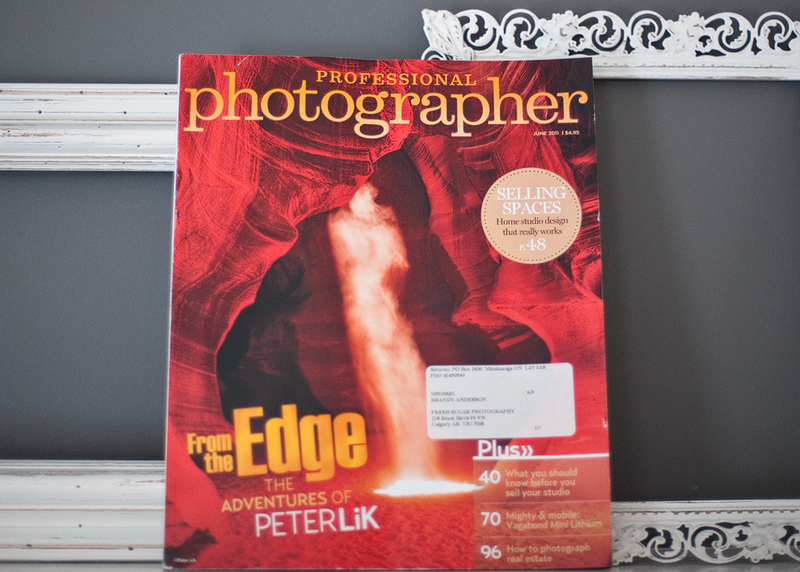 That was me in Professional Photographer magazine! A few months ago I was contacted by an editor at Professional Photographer magazine – they were interested in profiling me in the magazine and asked me to submit images for consideration. I was SUPER EXCITED but because it wasn’t a sure thing, I didn’t tell a soul. The magazine came out last month and I finally got my copy last week (due to Canada Post’s strike) and it was so very very very cool to see it in person. It was also really lovely to see a few of my friends in the US also in the magazine – I always say that I know the most amazing people! 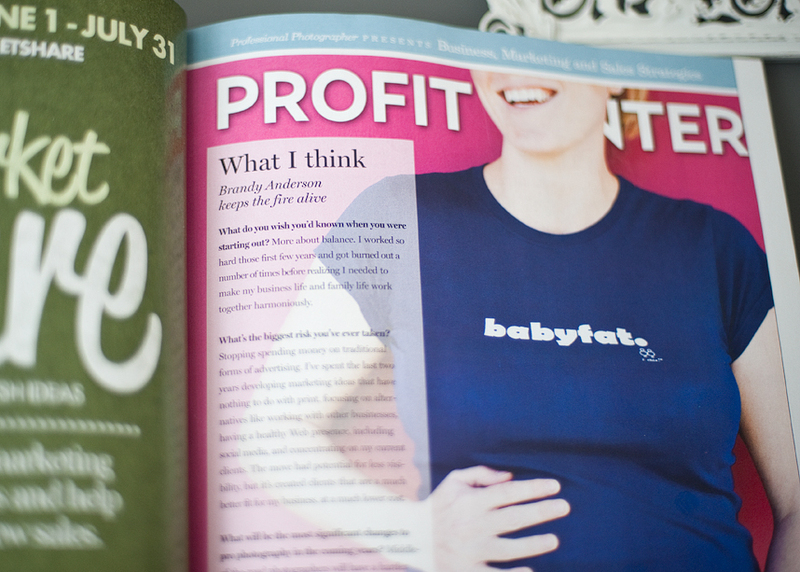 Not only did the magazine feature my maternity work, but I was also interviewed for their business article Profit Center – it seems a little surreal that people are actually interested to hear what I think, haha! When I started Fresh Sugar six years ago I can absolutely tell you that I never in a million years expected to be in not only one magazine but TWO! 2011 has been an absolutely incredible year for me and I really need to thank all my wonderful clients because without them I would never have the gorgeous subjects for my images! It means the world that you have all trusted me to capture all the joys of pregnancy and having a new baby. lori - Way to go Brandy!!! Jennifer Pearson - Well deserved, Brandy! Congrats! Veronica McNamara - Congrats Brandy! Well deserved. You inspire many.